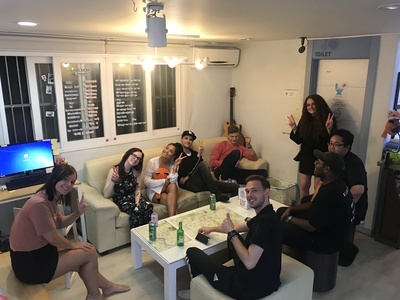 Become a part of our hostel family in a fun part of Seoul! We are a relaxed and friendly hostel who are looking for a volunteer who will blend right in with us and have fun. You will be doing check-in's, cleaning bathrooms, changing bed sheets, laundry, and general cleaning around the hostel. We like to take the guests out to show them the nightlife in Seoul, or have a nice relaxing night in watching movies or playing games. Come join us!